Dr. Sunita Kapur passed her M.B.B.S. from Lady Hardinge Medical College, in 1987 and completed her junior residency in the year 1988. Thereafter she went to China & Hongkong to get training in Acupuncture. She received her Diploma in Acupuncture in 1988 and started practicing Acupuncture along with her husband, Dr. Raman Kapur. She has also done an advance course in Acupuncture from Nanjing University of TCM in China. She is the fellow of Acupuncture Federation of Korea & China. 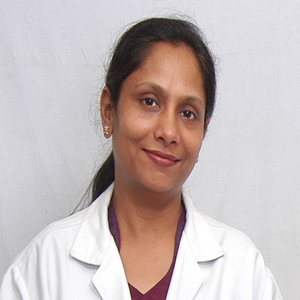 She is proficient in the management of various chronic diseases by using Laser & Ultra Sonics. She specializes in treatment of children with colour therapy. She has also done pioneering work in the treatment of “INFERTILITY” where patients have had failure with repeated IVF and IUI. She is a member of American Academy of Medical Acupuncture. Her interviews with various magazines and newspapers on the role of Acupuncture in treatment of various ailments are regularly being published. She is the medical director of Institute of Acupuncture and Natural Medicines. She conducts courses on Basic and Advanced Acupuncture for medical doctors only. Her institute was also affiliated to Indira Gandhi National Open University, which launched the first Post Graduate Diploma Course in Acupuncture (PGDACP) for qualified medical graduates from October, 2008. She is an Hony. Consultant in Department of Acupuncture at Sir Ganga Ram Hospital.